Critical Linkages Photographer Will Dickey is a staff photographer for the Florida Times-Union newspaper and a contributor to many conservation projects. Framing this landscape, Will found himself entranced with the clouds of the Thomas Creek area, and their playful reflection in the waters that run into the Nassau River. 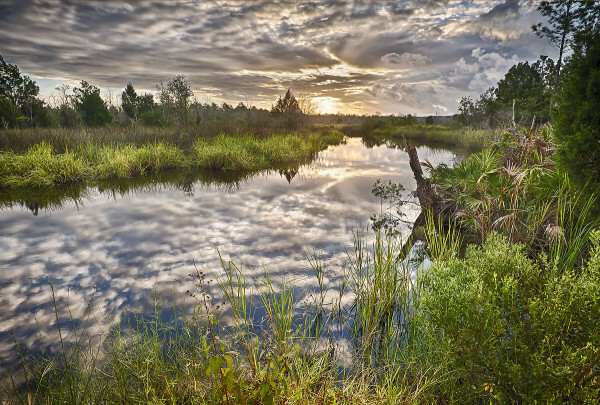 Will’s photography of the area combines two of Florida’s most documented and important characteristics: the clouds that bring in the rain, and the water that is the lifeblood of the state. To emphasize these subtle features, Will uses a technique called High Dynamic Range (HDR). “My goal is to get the picture to look like the scene I remember seeing. The reason I use HDR is that one picture of a scene in nature might have a huge range of tones. One picture cannot capture all the tones in one image. 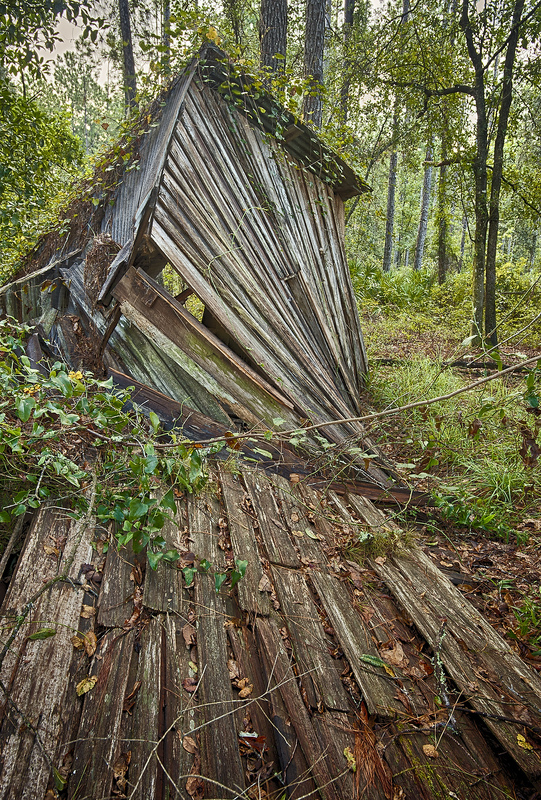 To get the image to look like real life, HDR is the trick.” His use of HDR is a defining characteristic of Will’s photography, often impacting a viewer as a painting would. HDR allows for a full template of color to complement extraordinary reflection in Critical Linkages Photographer Will Dickey‘s photograph of the Northeast Florida Timberlands and Watershed Reserve. Will’s photography career began in high school when he took over the newly purchased family Polaroid camera. Once he obtained a 35mm for his birthday, he knew he’d caught the bug. Will grew up in Chatom, Alabama and initially focused his photography career on home-town weddings and portraits. After high school he received a job with the University of Auburn, and later continued his career with the Montgomery daily newspaper. With a degree in business, Will considers himself a self-taught photographer. Thirty years ago, Will moved to Jacksonville where he’s settled his career and his life-style. 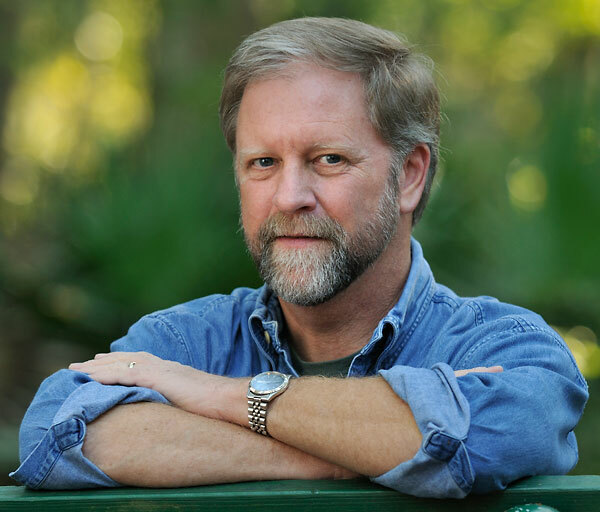 He is the father of two college-age boys, and a staff photographer for the Florida Times-Union. Critical Linkages Photographer Will Dickey captures the combination of history and ecology found within the Northeast Florida Timberlands and Watershed Reserve. Will has a long-time connection with nature, promoted through bass-fishing as well as fine-art landscape photography; he feels at home in the outdoors. As someone who enjoys the outdoors and relies upon it for lifestyle and career, Will always donates his work to the St. John’s Riverkeeper and other organizations with similar goals as LINC. View Will’s work on his website and his Facebook page. You can learn more about the purchase of the Thomas Creek Preserve here.